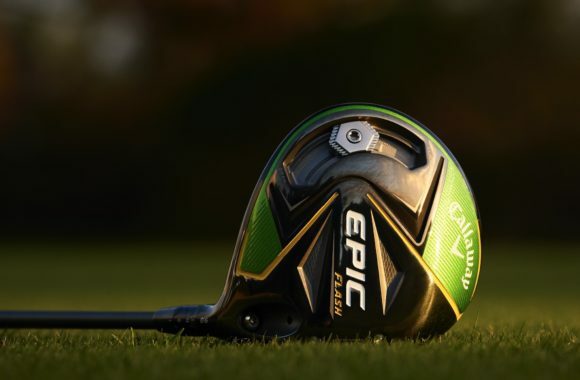 The Callaway Epic Flash and Epic Flash Sub Zero drivers have landed – and, in an industry first, they’ve been engineered using Artificial Intelligence. 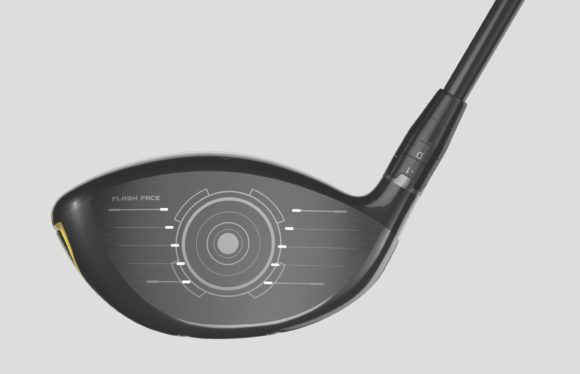 That’s right, the new Epic Flash drivers employ a radical new face design called 'Flash Face' to help every golfer get more ball speed for more distance. 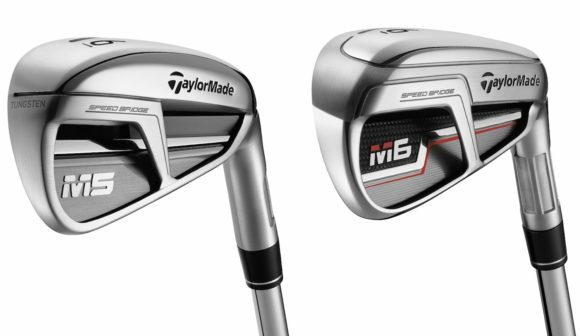 It defies previously held conventions of driver face design to deliver a significant ball speed boost for a noticeable distance increase when you make solid contact, helping make your longest drives go even longer. For an in depth look into how this new Flash Face came into existence with the use of A.I., supercomputer technology and a process known as machine learning you’ll have to click the below link. Now let’s dive into why the Epic Flash is the longest driver Callaway has ever produced. First off let’s talk about what the new Flash Face will mean for your game. 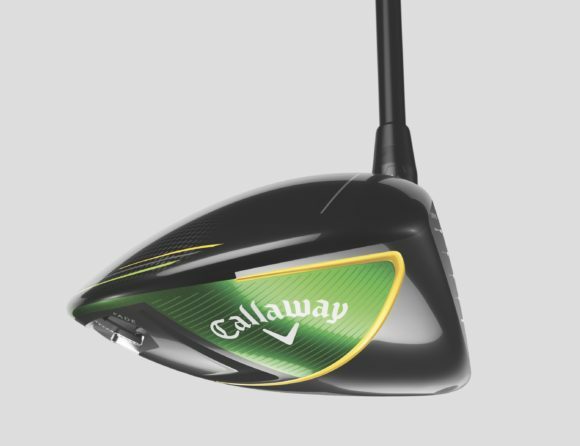 Callaway says this truly unique face design will deliver anywhere from an extra 1.5mph of ball speed and more, depending on what driver model you are currently gaming. The Flash Face then combines with Callaway’s revolutionary Jailbreak technology to proved incredible ball speed across the entire face. Together, Flash Face and Jailbreak make the Epic Flash one of the most innovative and technologically advanced drivers in Callaway’s history. 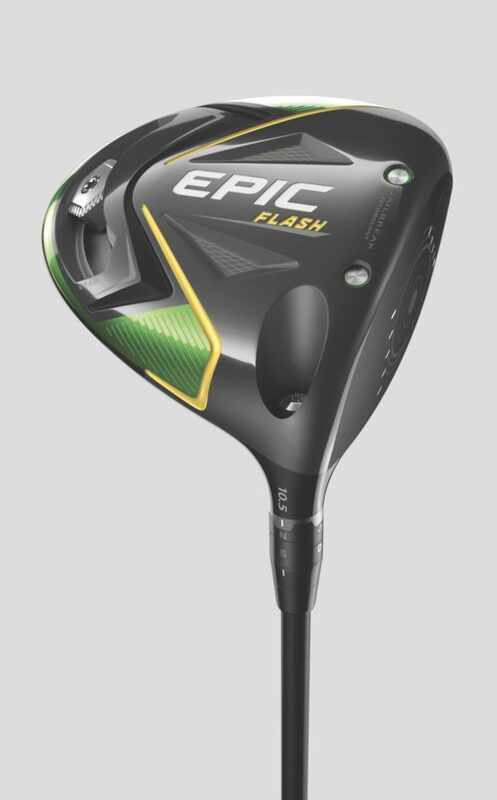 The Epic Flash also incorporates a new triaxial carbon fabric, called T2C, which has a tighter weave that allows us to take weight from the crown and reposition strategically in the head to create high MOI that promotes better distance and accuracy performance on mis-hits. 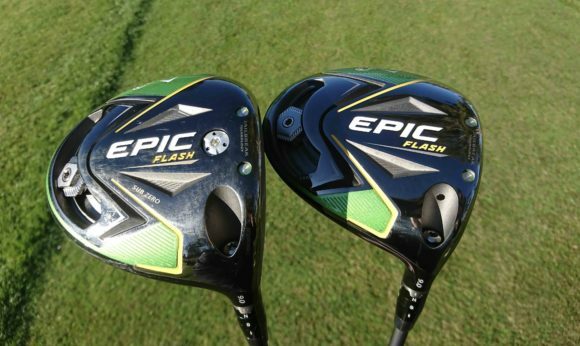 Both Epic Flash models boast a more compact and traditional shape than their Rogue predecessors. 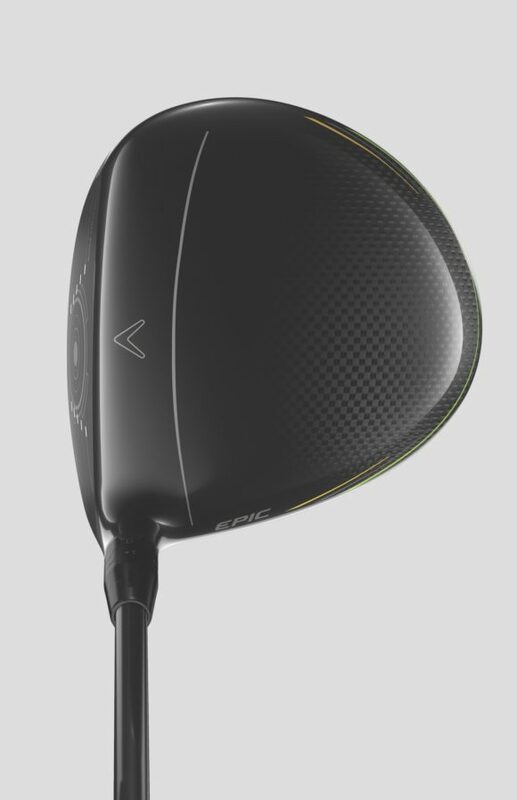 The stretched back, elongated address profile of the Rogue drivers was designed to help seriously boost the MOI of those drivers. 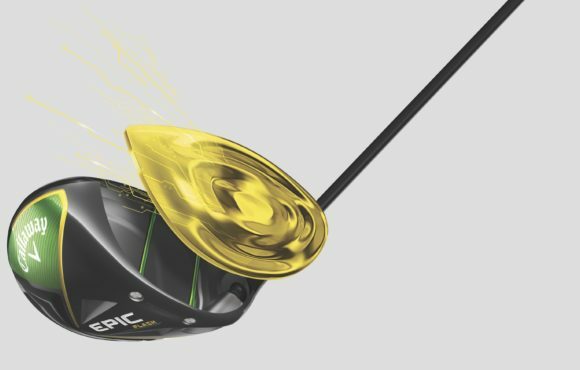 Callaway say that despite the Epic Flash drivers’ more compact shape, they will be just as forgiving thanks to the improved triaxial carbon crown and the inherent forgiveness of the new Flash Face, and Jailbreak combination. 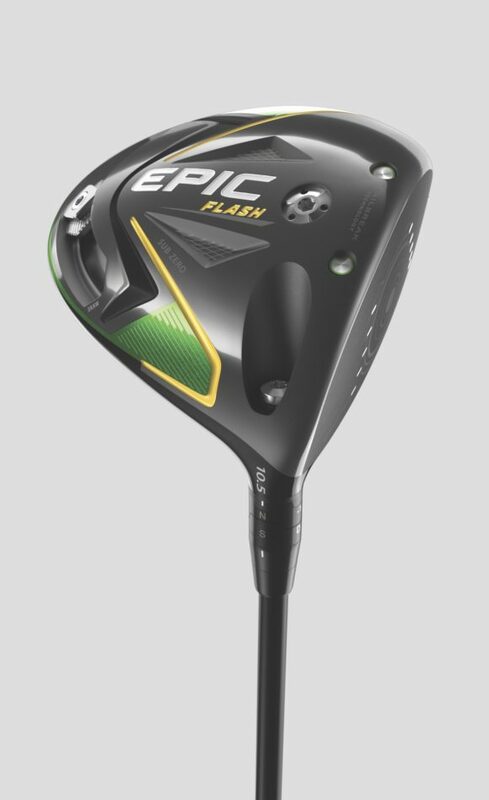 Epic Flash also benefits from Callaway’s proven Adjustable Perimeter Weighting, with a 16-gram sliding weight that can be easily positioned anywhere on the built-in track at the rear of the clubhead. You can promote draws, fades or a straighter flight by positioning the weight in different places on the track. Complementing the standard model is the lower spinning Epic Flash Sub Zero. Like the standard model, the Sub Zero features Callaway’s new Flash Face, Jailbreak technology and a new triaxial carbon crown to make this the ultimate combination of low-spin and high MOI in a Callaway driver. This is also the first Sub Zero driver to include Callaway’s Adjustable Perimeter Weighting (APW) technology, consisting of a 12-gram sliding weight on a track located at the back of the head. You can influence shot shape a lot or a little by positioning the weight at different points on the track. The closer you position the weight to the heel, the more draw-bias; the closer it is to the toe, the more fade-bias. Where the Sub Zero differs from its counterpart is in its shaping and lower, forward CG placement. A visible weight is permanently embedded forward in the sole to reduce spin, while down behind the ball you can expect a more compact head shape that was designed with a lot of input form Callaway’s top tour pros. So, there you have it: serious jumps in speed and distance thanks to that new Flash Face and the same incredible forgiveness that the Rogue drivers offered. Not a bad combination. 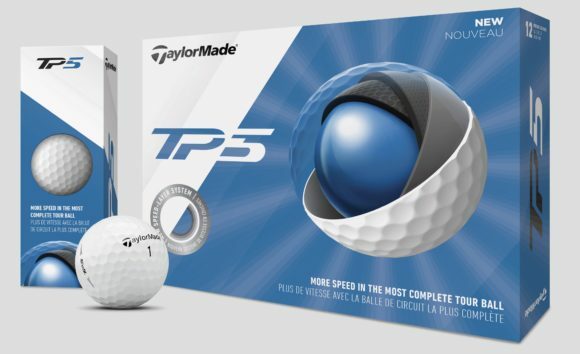 To find out more how these two drivers performed – check out our review here.